Does anybody remember when U.S. Secretary of Defense Donald Rumsfeld and Deputy Secretary of Defense Paul Wolfowitz said that the war in Iraq would pay for itself? Specifically, their argument was that oil revenues in Iraq would easily pay for the cost of reconstruction, and that the bill wouldn't be laid on the American taxpayer. Admittedly, this was five years ago, so it's understandable if our memories might be a little fuzzy on the issue. However, this was the running argument back in 2003. Of course, this isn't how it's worked out, a fact that becomes crystal clear when we look at how much the U.S. military is paying for gas. Currently, American forces in Iraq are paying an average of $3.23 a gallon for their gasoline, diesel, and jet fuel. 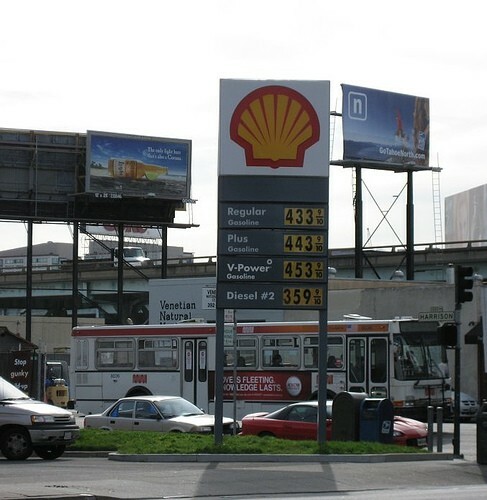 The Defense Energy Support Center, essentially the fuel wing of the Department of Defense, buys gasoline on the open market at prices ranging from $1.99 a gallon to $5.38 a gallon. They then set a fixed rate for the fuel; thus, as of April 4, American forces in Iraq were paying $3.51/gallon for diesel, $3.15/gallon for gasoline, and $3.04 for jet fuel. It's also worth noting that Kuwait is selling fuel to the military at a steep discount. If the U.S. military was paying the full market rate, these prices would be a lot higher. Even so, it doesn't seem like the U.S. military is paying all that much for gas, particularly when you compare these prices to the prices that U.S. consumers are paying at the pump. On the other hand, it's worth noting that Iraq is massively subsidizing gas prices for its citizens, to the extent that Iraqis are paying a mere $1.36 a gallon. Among other things, this means that the insurgents who are fighting against American soldiers are filling up their tanks for less than half the price that the American military is currently paying. Apart from the fact that America is paying retail price for the fuel that it is using to support an oil-producing country, and apart from the fact that the oil producing country in question seems disinclined to help cover the fuel needs of what is supposedly a friendly force, it's worth noting that, at our current rate of consumption, the United States military is paying approximately $153 million a month just for fuel.